So on the 3rd day, before Sophia and Weiting went back to Singapore, we headed to a dog cafe. It's a pretty big thing, dog cafes, in Seoul especially. Since we didn't want to check out multiple ones, we went to the acclaimed best one by bloggers online. 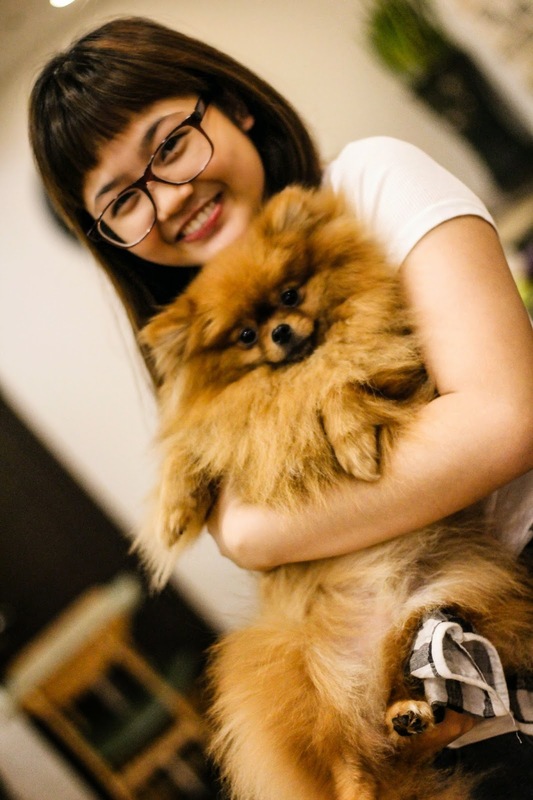 This dog cafe, called Bau House, had the most amount of dogs, and the most variety of breeds. So, we took a train down from Seoul station to Hapjeong, and then get out of exit 3, take a right to go backwards and turn left at the next junction you hit. From there on, walk around 30 steps and look to your right and you'll find Bau House! The place is generally very clean, and the staff are really quick to clean up when the dogs do their business or drool all over. The place has the usual dog smell but it's not too pungent that you'll feel like choking up. For me, I'm not much of a pet lover but I felt pretty fine there. One good thing about this place is that they divided 2 sections: one for bigger dogs, and one for smaller dogs. It's pretty good I guess, because when some people brought their smaller dogs into the bigger dogs area, there was a lot of barking and chasing around so I guess sometimes smaller dogs get bullied or frightened. When you go in, they'll seat you wherever you want to be seated and give you a menu. Although entry to the dog cafe is free, it's actually recommended to get a drink per person, which rounds up to around 8,000W per person. The drinks are pretty okay, but the main attraction of the cafe are the dogs anyway. 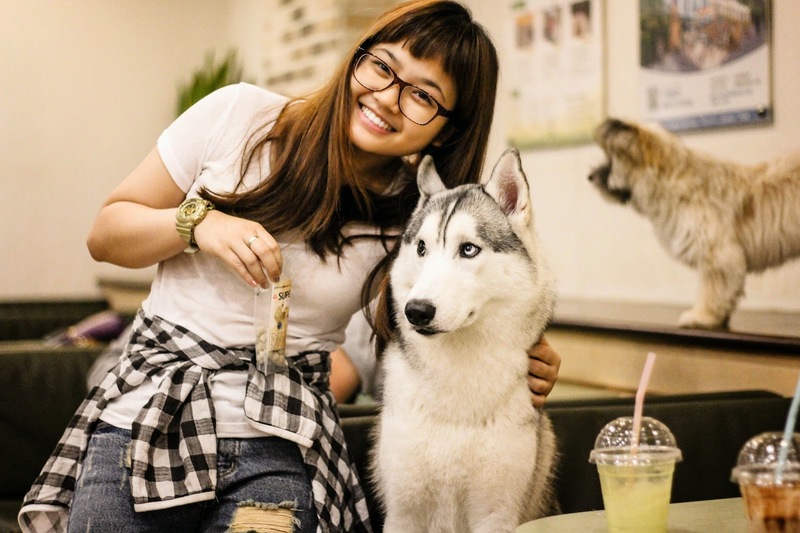 As much as dog cafes are usually for owners to bring their dogs to mingle with other dogs, or to have their dog taken care of by the staff, visitors (mostly tourists) come to play with the dogs that are sited in the cafe itself, or owned by others. From what you can see in the photos, the dogs are usually very smart.. They walk towards your table and let you give them a pat or two, and continue moving on. In any case, if you're a dog lover and you're in Seoul for a holiday or business trip, take some time to go down to a dog cafe. It's a pretty good experience and one of the things that you don't see all the time everywhere. The dogs are friendly, eat a lot, like to cuddle, play and fight. As a person from Singapore, an English-speaking country, it's funny to see people speak Korean to their dogs here in Korea.